Bustling with excitement and joy, the American Girl stores have always been iconic and rememberable. I will never forget my first visit to their Chicago store with my Girl Scout troop as a young girl. The experience was nothing less than magical. After 17 million visitors they have opened a new flagship store in Rockefeller Plaza, and Regency Lighting was fortunate to spearhead the lighting design. "Our new store celebrates the joy of girlhood—a place that nourishes a girl's spirit and fosters her strength of character. We look forward to American Girl Place New York remaining a treasured place where girls can simply be girls, while creating unforgettable memories with their families and friends for decades to come." Regency lighting designers Erin Gussert and Amanda Marti led Regency's involvement in the project, overseeing the lighting code requirements, specs, and aesthetic lighting design of the space. They worked with American Girl, FRCH, and Ideoli Group Inc. to create a second-to-none retail experience that includes an eye-opening custom chandelier, incorporating a new customized LED chip for all the retail lighting, and an overall beautifully lit 37,000 square foot flagship store. With their expertise, the store now radiates and provides a welcoming atmosphere for all children to share in joyful experiences together with their friends, family, and loved ones. From the American Girl Salon, where girls can get their hair done to match their doll's hairstyle, to a create-your-own-doll studio, to the American Girl Café, these new experiences are now lit with a mood of coziness and cheer, just in time for the holiday season. Navigating the complexity of lighting is difficult but that's where our lighting design team comes in, partnering with your company and your architect. Think of a lighting designer as someone who helps close the communication loop on design, specification, and installation of lighting for your project. Here are five reasons decision makers love to partner with our lighting design team. In a fast-changing retail world where everyone is turning to the internet to make their purchases, it's obviously crucial for brick and mortar environments to do more than just build shelves and sell products. It must evoke a feeling, create an experience, or build a memory for customers. 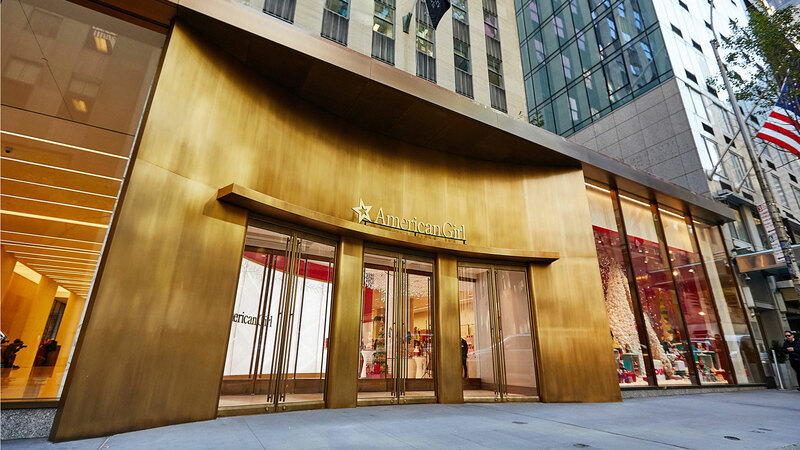 You want your customers to feel emotionally tied to your brick and mortar location, and the American Girl store at Rockefeller Plaza nailed this with their recent grand opening. The dolls are the obvious center of attention at American Girl. So making sure they're well-illuminated –– not in the shadows of, say, a sign, or another display –– is critical. Whatever the focal point of your store is, you want to make sure that it's top of mind throughout the lighting design process. There is such thing as too much general light. Use light contrast to your advantage when looking to create emphasis or light a focal point. A well-lit display will stand out more when it's juxtaposed with shadows. What’s the theme or feel of your store? Is it sleek and clean? Homey and rustic? Lighting color can make or break that feel. 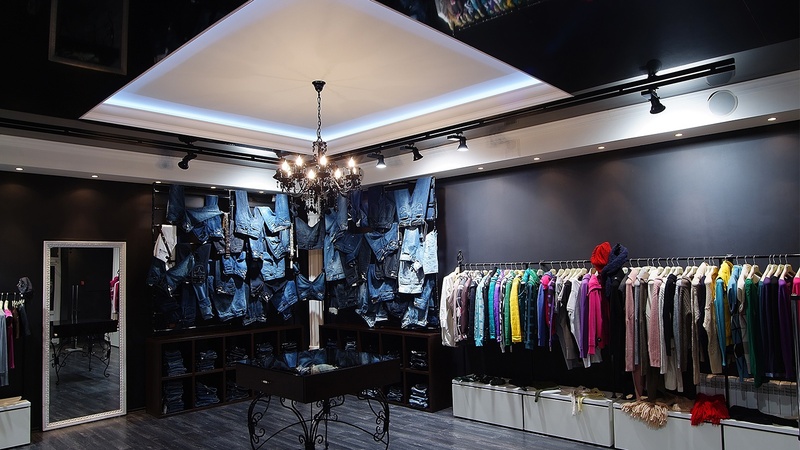 Furthermore, different displays within the same store may require different lighting color to best jive with the designer’s intent. At American Girl, the general lighting features a neutral white light paired with the Xicato beauty chip, emitting a pinkish hue to bring out the red tones in all skin complexions. You may not have the kind of palate which can discern the differences between Evian and Aquafina water, but there are probably plenty of folks who work for the FDA who can dissect the mineral composition of the waters, pointing out flaws and imbalances when they find them. 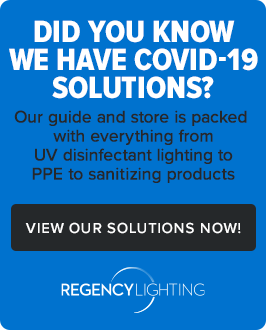 Just the same, there are some retail lighting design mistakes that will go unnoticed by your customers but will be easily detected by inspectors. Why does it matter? Failure to consider lighting codes upfront can cost a lot of money down the road with failed inspections, delays, add-ons, additional installation costs, and other similar headaches. Lighting codes simply cannot be an afterthought, but carefully considered throughout the design phase of a project and closely managed during buildout. If you're interested in learning how lighting design can benefit your retail store, check out these other lighting success stories.